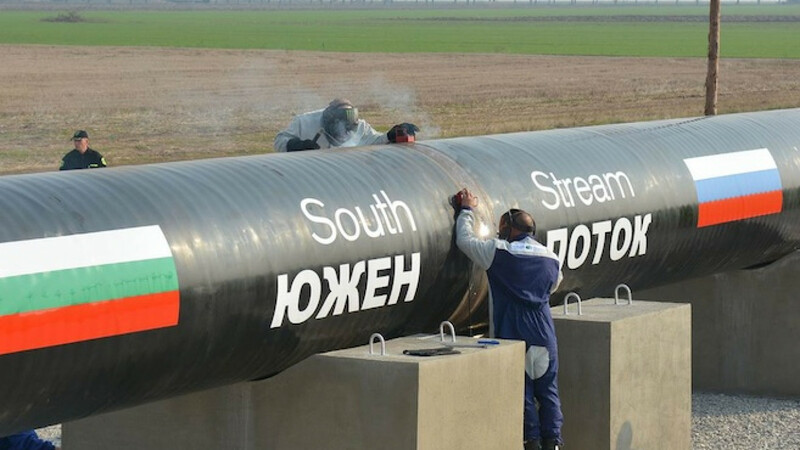 Bulgaria will not resume work on the Russian-led South Stream gas pipeline project until it receives the all clear from the European Commission, Prime Minister Plamen Oresharski has said. In a move that could inflame tensions between Russia and the European Union, the 28-nation bloc's executive arm last week asked the Balkan country to suspend work on Gazprom's South Stream project pending a decision on whether it complies with EU law. The pipeline is being built to transport 63 billion cubic meters of gas per year under the Black Sea through Bulgaria to central and southern Europe, bypassing Ukraine, as Russia seeks to cement its position as Europe's dominant gas supplier. Bulgaria is the EU's poorest member and almost wholly dependent on Russian gas, but Prime Minister Oresharski said it would comply with the European Commission's request. "We discussed the South Stream issue and the European Commission request," Oresharski told reporters after meeting U.S. senators in Sofia on Sunday, adding that Bulgaria will continue work on the project only after the EU's concerns have been resolved. U.S. Ambassador to Bulgaria Marcie Ries said Friday that the U.S. was deeply concerned by Bulgaria's choice of Russia's Stroitransgaz, —a consortium owned by sanctions-hit businessman Gennady Timchenko — to build the Bulgarian section of the pipeline. State-controlled Russian gas exporter Gazprom is pushing ahead with the $40 billion project despite Western sanctions against Moscow over the Ukraine crisis. A spokesman for the Russian energy ministry said Moscow had not received any official notification from Sofia that Bulgaria has suspended the work on the project. "We are planning to bring up the issue during our talks tomorrow with [EU Commissioner Guenther] Oettinger," the spokesman said. Ukraine, Russia and European Commission officials meet in Brussels on Monday evening to continue talks how to resolve a dispute over gas prices.